I’ve just returned from the Orlando MoneyShow and was very impressed at the amount of investors and traders looking to learn more about options strategies. I had the opportunity to deliver two different presentations to the options-oriented folks. One of the topics I spent quite a lot of time on was covered calls. Of course, I’m a big fan of using covered calls whenever possible. But, it was nice to see that many in attendance also have tried the strategy or are interested in learnings more. I believe the more people know about the benefits of covered calls, the more popular the strategy becomes. For instance, covered calls can often provide more steady returns from your portfolio. This consistency occurs because you are regularly receiving income from the calls you sell against the long shares you own. What’s more, the call premium can be used to offset some downside risk. The combination of a regular income stream plus a built in hedge certainly has the effect of smoothing out the returns over time. Nobody likes inconsistent and choppy returns. It’s one of the reasons covered calls (aka buywrites) are so popular among institutions. The great things is, we can make the exact same buywrite trades as the institutions. 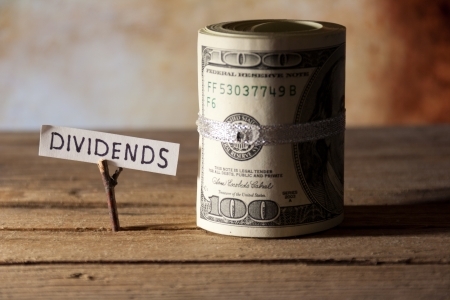 And don’t forget, using a covered call strategy does not preclude you from receiving a dividend. Since you are long the stock, you still get the dividend if you’re holding the shares when ex-divided comes around. Selling a call against long stock for income doesn’t impact the dividend at all – it just amplifies the yield. Let’s take a look at a very interesting covered call I just came across in Twitter (NYSE: TWTR). TWTR is an immensely popular microblogging site which just sold off fairly sharply after earnings. The stock dropped from around $35 to $30, as you can see in the chart. 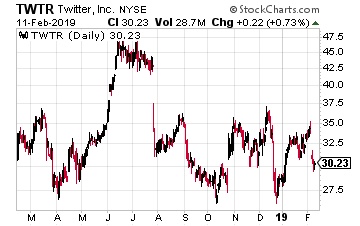 Now, TWTR isn’t a dividend paying stock, but it’s a great example of another way you can use covered calls – to earn income while you wait for stock appreciation. In this case, the covered call buyer is probably hoping for a short-term rebound in the shares. The actual trade was buying 2,288,000 shares of TWTR versus selling the March 15th 34 call. Remember, one call needs to be sold for every 100 shares, so the call was sold 22,880 times for $0.41 per option. This was done with the stock price at $30.29. 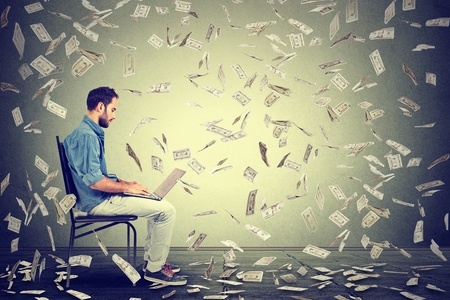 With the covered call in place, the trader can make money all the way up to $34 in the stock price before the gains are capped due to the short call. Meanwhile, $938,000 in premium is collected regardless of what the stock does. That means the shares are protected down to $29.88 before any money is lost. The premium collected represents a 1.4% yield for just over a month holding period. However, if the stock moves up to $34, the trader can earn another $3.71 on the trade, or an additional 12%. In dollar terms, that’s about $8.5 million of additional upside. If you think this is a good entry point for TWTR, I believe this is a great trade to make. You are getting paid to wait for a rebound and not significantly reducing the amount of upside you can attain if the stock rallies. Plus, this trade would be very easy to roll out if the stock doesn’t rebound by March 15th.